92 mins. Rated PG for some rude humor, mild language and brief smoking. 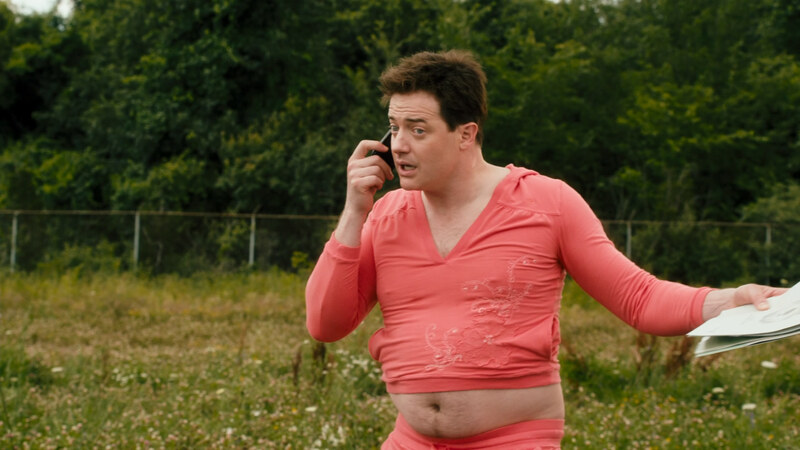 In Furry Vengeance, from director Roger Kumble (Cruel Intentions, College Road Trip), Dan Sanders (Brendan Fraser, The Mummy, The Nut Job) has been brought in to turn a beautiful forest into a dense residential area by his boss Neal (Ken Jeong, TV’s Community, The Hangover). His wife Tammy (Brooke Shields, TV’s Suddenly Susan, The Other Guys) and son Tyler (Matt Prokop, High School Musical 3: Senior Year, Struck by Lightning) are not fans of Dan’s new job, by the wildlife in the area prove to be the real problem. The many woodland creatures of the forest are out to stop Dan at all costs. I wish there were wildlife trying to stop the completion of this film. This is by far one of the worst pieces of garbage I have ever been forced to watch. Not a great time. These are some truly terrible performances. 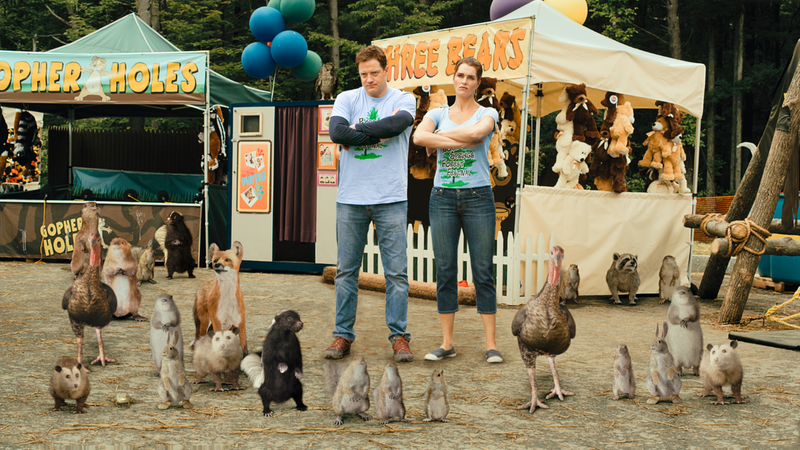 I think I giggled once at the opening featuring Rob Riggle in a cameo appearance, but then, literally, I think those animals straight up killed that guy. Dark turn for an opener. Later in the film, I would envy Riggle. Roger Kumble fails on just about every level here. The film comes off as a horrible combination of a film promoting a good message and a crew destroying everything in sight. I’m trying to think of something good here. Someone ask me later, I have to go wash the smell of horseshit off me. Honestly, if you have Netflix, do not, I repeat, DO NOT, subject yourself to this. Please, go out and plant a tree and say you watched the film. You’ll be better off. Planet Earth will be better off. See, everyone wins.